There are more than 20 anti-inflammatory compounds in celery and celery seeds, including a substance called apigenin, which is powerful in its anti-inflammatory action. Add celery seeds to soups, stews or as a salt substitute in many recipes. A 1-cup serving of chopped celery contains just 16 calories and no fat and is rich in certain vitamins and minerals. Celery might also prevent certain chronic health conditions. 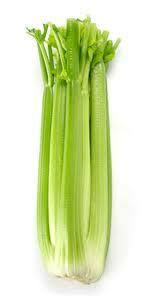 Look for light green celery that is crisp and firm because it has the most nutritional value.